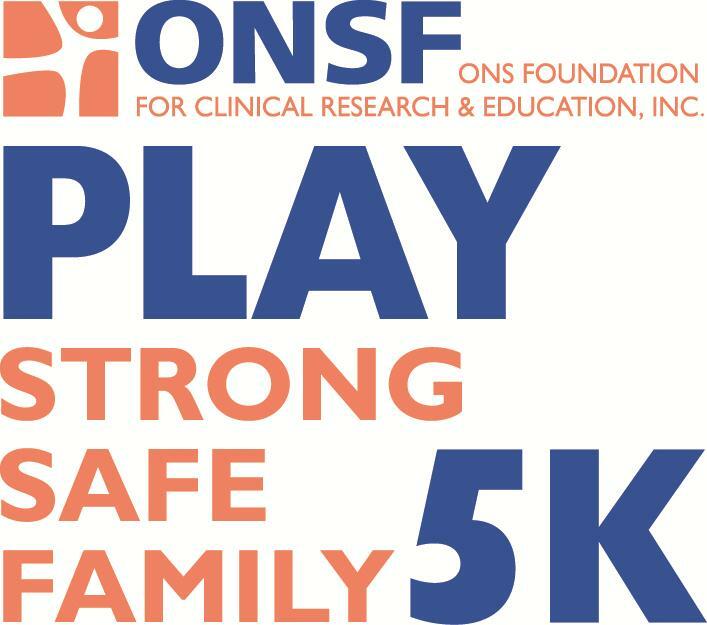 ONSF (ONS Foundation for Clinical Research and Education) will hold its 3rd Annual PLAY Strong PLAY Safe FAMILY 5K Run/Walk & Expo on Sunday, September 20th. The 5K USATF certified course begins and ends at the Eastern Greenwich Civic Center in Old Greenwich. Orthopedic Surgeon Dr. Katie Vadasdi and Joseph “Casey” McKee will serve as event Co-chairs. All are invited to participate — elite runners, teams, joggers, student athletes, weekend warriors, power walkers and families. In addition to the race, the day will feature a Health Expo located at the Eastern Greenwich Civic Center where participants and their families will be able to learn more about nutrition, training, injury prevention and running equipment. Activities for kids consist of a 0.5 mile costume run/walk, face painting and a kid’s obstacle course.